Offering Handheld Rapid Scan, Handheld HD Scan, Free Scan, or Automatic Scan. Looking for advanced and handheld 3D scanner for quick results and to make the scanning work easier? You have come at the right place – Go3DPro. 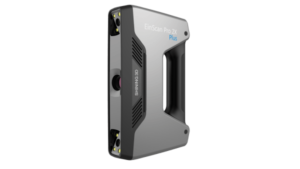 We offer you EinScan Pro – the revolutionary handheld 3D scanner – offering rapid scan in automatic way. It is an advanced scanning tool – making the work far easier. 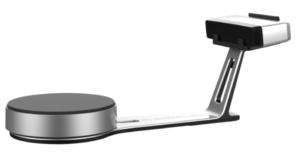 The latest 3D scanner allows you to use physical objects to better conceptualize an idea or create a starting point for modeling in CAD. 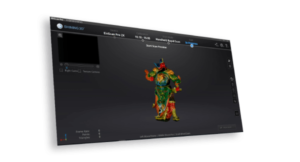 The EinScan Pro is the right scanner – capture real world data and convert it into digital 3D Model. You can choose the right scan mode to capture object with a very clear view; while you can also use it for consumer and commercial applications in manufacturing, engineering, design, development, artwork, testing, animation and even human acquisition. 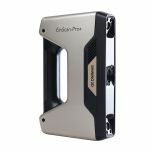 The EinScan Pro is capable to capture textured and colored objects ranging in size from 0.03m (.0011in) up to 4 meters (13ft). It comes with comfortable and ergonomic design makes it perfect choice for extensive, long-lasting projects. Weighing only 0.8kg (1.76lbs.) the latest lightweight nd handheld scanner is portable creating more-accurate and better-fitting parts when compared with from-scratch models from a CAD system. Not to mention the use of the EinScan-Pro scanning software that allows users to create “open” models for reverse engineering in a CAD system or it can create “closed” watertight models that are ideal for 3D printing. 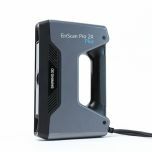 The latest EinScan pro multi-functional 3D scanner offers both portability and high-accuracy because of its four versatile operating modes. Automatic Scan is another feature – matched with a fully-automatic turn table that completes a 360-Degree scan in less than 90 seconds. There is a lot more associated with it. 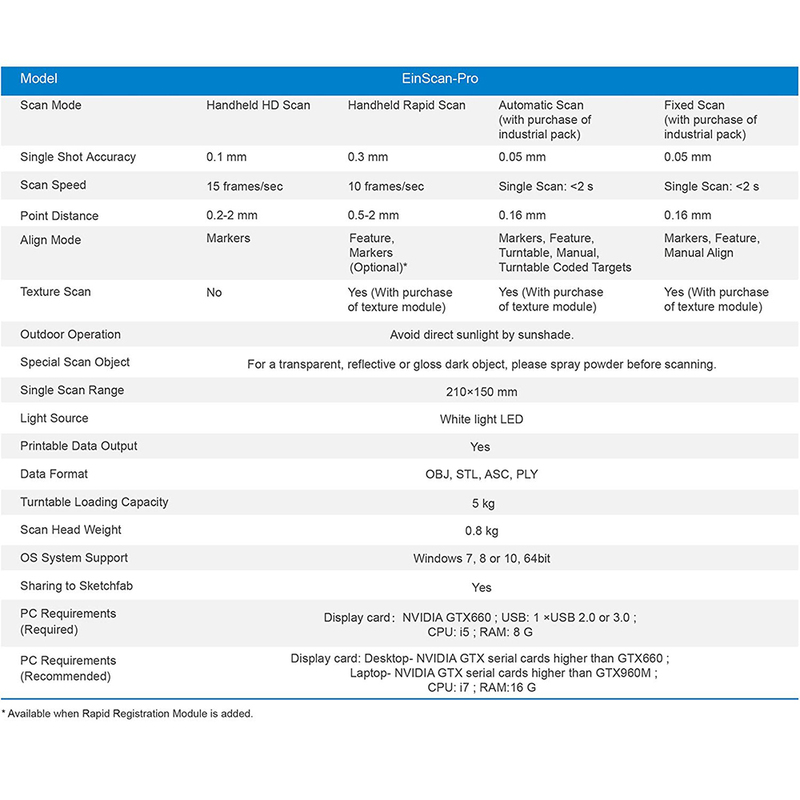 Please go through the features and specifications given here. 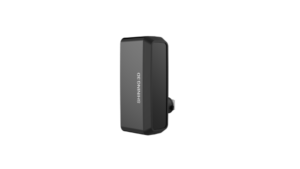 The EinScan-Pro is your best choice for capturing real world data to convert into a digital 3D model. Choosing right scan mode to capture object. It can be used for consumer and commercial applications in manufacturing, engineering, design, development, testing, artwork archival, animation and even human form acquisition. 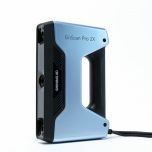 The EinScan-Pro 3D scanner allows you to use physical objects to better conceptualize an idea or create a starting point for modeling in CAD (Computer Aided Design). 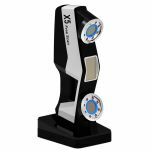 BEST VALUE LARGE VOLUME WHITE LIGHT HANDHELD 3D SCANNER WITH 4 MODES. NOT CAMPATIBLE WITH AMD. Single Scan Range: 210mm*150mm, Multiple Align Modes. Printable Data Output. Scan Accuracy: < 0.1 mm & <0.05 mm for Handheld and Auto/ Free Scan. Scan Time: < 2s & 15 frames/s for Auto/ Free Scan and Handheld Scan. PC Requirement: Windows 7 Windows 8 Windows 10 64-bit. PORT: at least one USB 2.0/3.0 port RAM: > 8G GRAPHIC CARD: NVIDIA GTX 660 or Higher GPU 2G Memory: i5 or higher SUPPORTED FILE OUTPUT FORMATS: OBJ, STL, ASC, PLY. The EinScan-Pro can capture textured and colored objects ranging in size from 0.03m (.0011in) up to 4 meters (13ft).